"Championship Gymnastics: Biomechanical Techniques for Shaping Winners" (May, 2010 – Designs for Wellness Press) is currently the internationally best-selling book on gymnastics techniques in the world, and is already being used in 32 countries worldwide. Dr. George has managed to simultaneously capture the simplicity and complexity of gymnastics and make it easily understandable to the reader. This superb text is an essential guide for all students of gymnastics: performers, coaches and judges alike. "Championship Gymnastics: Biomechanical Techniques for Shaping Winners" (May, 2010 – Designs for Wellness Press) is currently the internationally best-selling book on gymnastics techniques in the world, and is already being used in 32 countries worldwide. The book continues to receive numerous outstanding reviews from top gymnastics professionals, athletes, and judges. "Championship Gymnastics" creates an entirely new approach to the study and understanding of gymnastics movement. 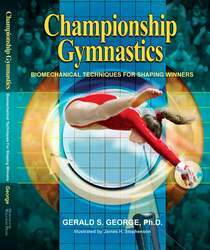 Aside from the highly acclaimed "Biomechanics of Women’s Gymnastics" published in 1980 (authored by Dr. George), "Championship Gymnastics" is the only textbook in gymnastics that truly bridges the gap between theory and practice. Written for gymnastics performers, teachers, coaches, and judges, this textbook seamlessly weaves together the “science” of biomechanics with the “art” of gymnastics movement. Rather than laboring on complex physics formulas, fundamental principles of biomechanics are clearly explained and presented in layman’s terms. Easy to read and expertly illustrated, readers are guided effortlessly through a “conceptualization process” for developing ideal movement patterns. The book includes 140 technical illustrations by noted artist and gymnastics coach Jim Stephenson. Gymnastics skills are described clearly and illustrated progressively to demonstrate that “similarities” in gymnastics movement patterns far outweigh “differences.” As a result, seemingly complex gymnastics skills are reduced to simple, easy-to-understand patterns of motion. Go to: http://www.winninggymnastics.com/overview.php for additional information on "Championship Gymnastics." 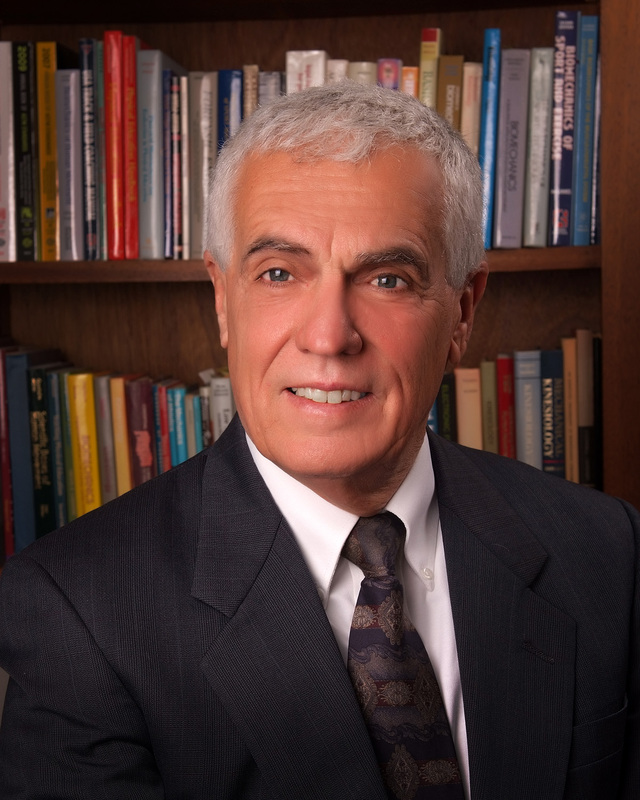 Dr. George currently serves as Professor Emeritus, Department of Kinesiology at the University of Louisiana at Lafayette, and is respected world-wide as a leading authority in the biomechanics of sport. Having served as author, contributor and/or senior editor to more than 10 textbooks and 120 article publications specific to gymnastics training and technique, Dr. George’s writings, research and lectures are well-known throughout the gymnastics world. Dr. George is dedicated to helping gymnasts train, and gymnastic coaches teach, the most effective techniques to create championship winners. For helpful articles and videos on improving gymnastics techniques, visit his website, http://www.WinningGymnastics.com, or call 1-888-796-5229 (in U.S.) or 760-458-4993. To secure Dr. George as a speaker/clinician at your club, workshop, or conference, contact scheduling agent Dr. Roy Vartabedian at 760-458-4993. Gerald S. George, Ph.D. Winning GymnasticsWinning Gymnastics is dedicated to helping gymnasts train, and gymnastic coaches teach, the most effective techniques to create championship winners. Founded by Dr. George, Professor Emeritus, Department of Kinesiology, University of Louisiana, our goal is to give you the tools to achieve success in gymnastics competition.